HABIT: Fast growing, lacy foliage, yellow or orange flowers. Would last from spring to frost if it weren’t for the red spider. CULTURE: Any soil, best in well-drained full sun location. Will reseed and come up the following year but will be weaker than original plants. 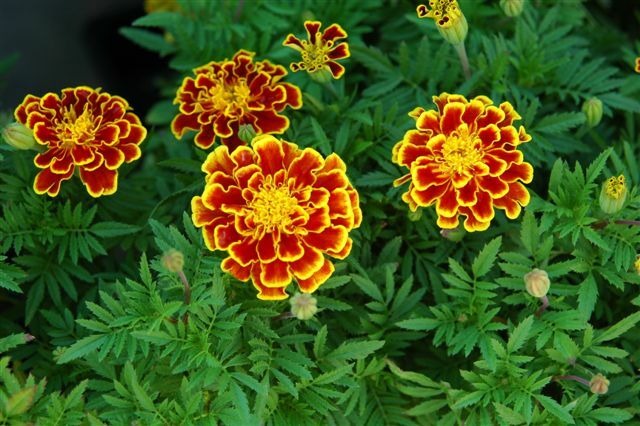 Can be planted midsummer for fall flowers. USES: Summer color, cut flowers, and border, mass planting. PROBLEMS: Red spider, short life. NOTES: Native to Central America. 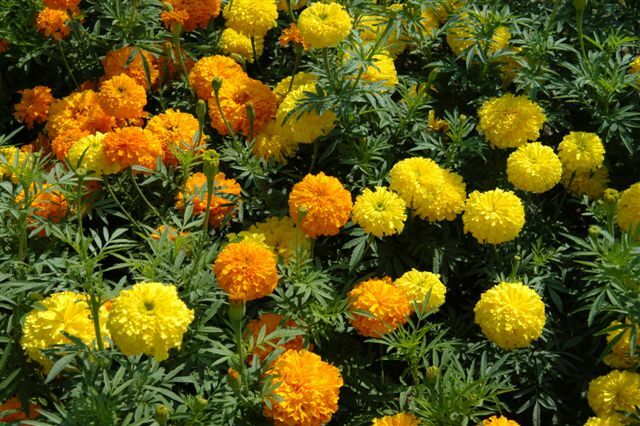 Mexican mint marigold or sweet marigold is a herb with yellow flowers in late summer. Available in many container sizes.